Feature | May 17, 2006 | Paul T. Gihring, B.S., P.E. As the NM IHE Profile seeks to improve interoperability, it will force vendors to provide full image display capabilities and empower users purchasing imaging equipment. Paul T. Gihring, B.S., P.E. is an instructor and technical consultant for OTech Inc., a company specializing in PACS training and publications. Nuclear medicine (NM) was one of the first imaging modalities to offer all-digital acquisition and processing, achieve general agreement on image data and header formats, and develop a modality specific DICOM Image Object Definition (IOD). Yet PACS and DICOM viewer vendors seem to be stumped when trying to implement displays for NM data. Nuclear medicine vendors have attempted to improve interoperability with image management and viewing workstations by defining a NM-specific profile in the IHE (Integrating the Healthcare Enterprise) Radiology Technical Framework. The IHE framework provides a clinically oriented set of guidelines describing how all types of systems should use existing standards such as DICOM and HL7 for interacting with each other. IHE has played a very important role since its inception by establishing application level conventions, which standards cannot cover. The IHE technical framework is not a standard, but has gained wide acceptance as a set of rules to follow for insuring integration of new products into the healthcare environment. The reasons for slow acceptance and implementation of NM data outside of the “nuclear community” can probably be grouped into two general areas: difficulty in understanding the DICOM definitions for NM data, and the lack of conventions for displaying different types of NM images and post-processing results. The DICOM IOD for NM is based on the concept of a multiframe dataset, which can include multiple sets of frames to accommodate acquisitions from multiple gamma camera heads, multiple energy windows, multiple stages and a few other “multiples.” A system of vectors is defined to provide pointers for sorting through the frame sets for various types of processing and display functions. The NM IOD categorizes all images by an image type attribute, which includes values for STATIC, DYNAMIC, WHOLEBODY, GATED, TOMO, GATED TOMO, RECON TOMO and GATED RECON TOMO. The image type attribute is used to describe how the frame sets within a NM multiframe image are organized. The image type is also essential for the proper display of NM images. For example, a DYNAMIC image is defined as a series of frames with equal time intervals and could possibly have additional frames for multiple energy sets, multiple detector sets and multiple phases, thus requiring four frame pointer vectors. It sounds complicated, but is based on conventions which were in use before the DICOM standard was introduced. The NM additions to the IHE framework include a very extensive appendix designed to help those unfamiliar with NM image data by illustrating various acquisition and processing procedures, and explaining how the multiframe format is used for various types of NM data. The NM Image Integration Profile for IHE seeks to improve interoperability by describing conventions to be used by creators and users of NM data. Another area, which is given special treatment in the appendix to the NM Profile, is the use of display formats along with considerations for windowing and color mapping. The IHE Profile describes formats for NM acquisition data, including typical image matrix sizes and number of frames. The profile then defines a number of display formats for the original and post-processed images, and suggests which formats to use on a review workstation for various kinds of data. The display formats include requirements for coordinated display of side-by-side cine loops and other specialized presentations, and these descriptions are accompanied by clinical examples. Display of NM images has always required the display system to provide individual control of the upper and lower window settings. Display systems typically implement the CT style of windowing in which the user can select a window width and then slide the window up and down over the range of the pixel data. Users of NM displays typically move the lower window limit up to eliminate low level noise inherent in the image data, and then work with the upper limit to zero in on the area of interest. Automatic window settings are often based on the lowest and highest pixel values in the image, but NM images will often have hot spots due to isotope accumulation in areas adjacent to the organ being studied. Nuclear medicine images make extensive use of pseudo-color displays to enhance image features and to superimpose functional information derived from image data during post-processing operations. The clinical user, while viewing images, also applies pseudo-color. 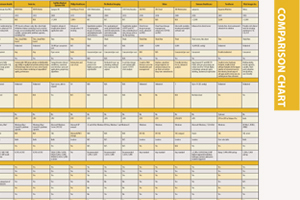 Users typically have their own individual preferences in color mapping tables. The descriptions in the NM appendix should help the workstation designer understand the requirements. Nuclear medicine data structures are well defined in the DICOM Standard. However, conventions for manipulating and displaying NM images fall outside of the scope of the standard. Well-designed display formats with numerical results, curves, interactive analysis and other features have long been used by NM vendors to differentiate their products. Sometimes private data elements have been used in the DICOM images to drive the more sophisticated displays. Generic workstations typically only support the most basic display formats and sometimes those do not work correctly for NM data. Using secondary capture (SC) images as a work-around is a very poor solution because the SC image definition does not include NM specific attributes and cannot be manipulated properly by display users. The NM IHE Profile will force workstation vendors to provide all of the capabilities needed for proper image display. The IHE NM Profile lists specific conformance requirements for the various “actors” that work on NM data. The actors described in the NM Profile include: acquisition modality – creator of the original data; image archive/manager; evidence creator – post-processing and producer of results images; and image display. The archive and image manager provide the worklists and data for acquisition, post-processing and review. The evidence creator may exist partially in the system, which creates the data and may exist in one or several modality specific workstations. The image display presents images and results to end-users. The requirements placed on each of the actors are given in the NM Profile. Administrators have learned by now that when they are evaluating various systems for purchase it is not enough to ask about DICOM compliance. That is because the DICOM and HL7 standards do not prescribe application level workflow and usage. The standards can only specify the low level mechanisms that support the clinical applications. The IHE Framework profiles are being used increasingly when writing purchase requirements for imaging equipment. Currently there is only one NM Profile, as described in this article. In the future there will be a Nuclear Cardiology Profile and possibly some additional profiles for NM combined with other modalities. Within the NM Profile any product must be identified as one or more of the actors as defined by the profile. When a vendor claims conformance with the NM Profile they will need to specify the actors. Likewise, when writing a RFP, the NM Profile and the required actors must be defined along with any special variations based on the IHE framework. This greatly simplifies the writing of requirements documents and allows the writer to reference the latest IHE framework documents without extensive re-writing. Since the NM Profile was defined two years ago, vendors have tested the profile at “connectathons” supervised by RSNA and HIMSS. Nuclear medicine administrators can now ask vendors about IHE conformance without getting blank stares because the IHE efforts have been well publicized in the past few years, and NM is now a part of the building momentum. The NM profiles put users and administrators into a strong position when looking for new equipment and discussing capabilities. Vendors of general purpose workstations will also have useful application guidelines and an extra incentive to participate in IHE “connectathons” where they can work with NM vendors and DICOM experts to improve their connectability.